USD gained momentum after the US consumer prices growth. Moreover the US industrial production and the nation’s housing have risen as well. On the other hand, there was no important economic news in Europe. EURUSD started its bearish journey yesterday and has been falling down since then. 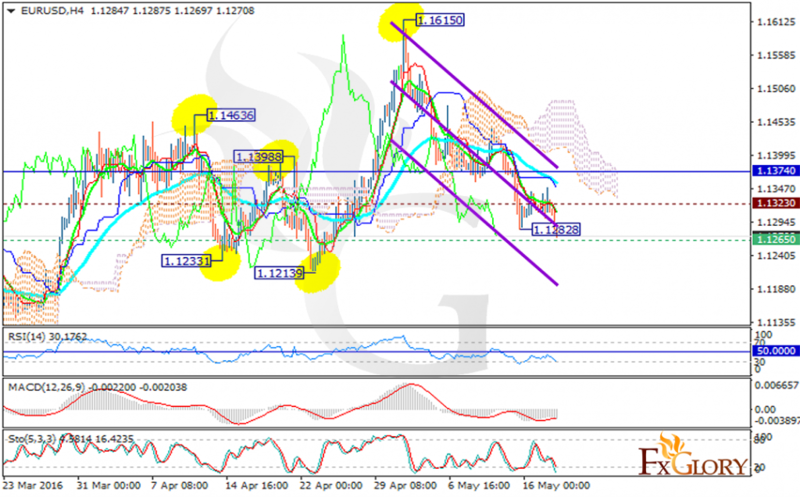 The support rests at 1.12650 with resistance at 1.13230 which both lines are below the monthly pivot point at 1.13740. The EMA of 10 is below the EMA of 50 suggesting the recent price fall. All indicators are signaling strong sell opportunity; the MACD indicator is in negative territory, the RSI is below the 50 level and the Stochastic is showing a downward trend. The price is under the Ichimoku Cloud and the Chinkou Span. The Tenkan-sen and the Kijun-sen are showing a horizontal movement. Short positions are recommended with the target at 1.1150.